A town hall session is being requested by Puslinch councillors as part of an upcoming Ministry of Transportation information meeting regarding improvements to Highways 6 and 401. 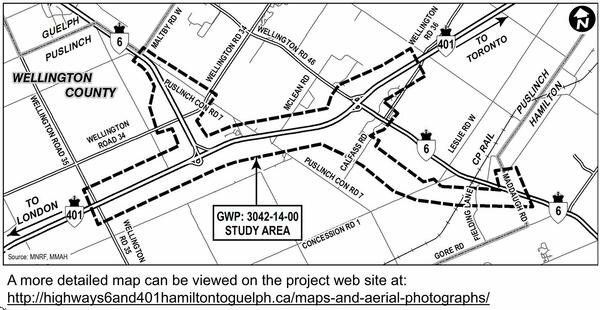 MTO representatives Chuck Organ and Patrick Puccini spoke to Puslinch councillors on Oct. 4 about the proposed Morriston bypass and work on Highway 6 north and south of Highway 401. Puccini added, “We are planning public meetings as part of this process to present information on the refinements … and to present the final plans.